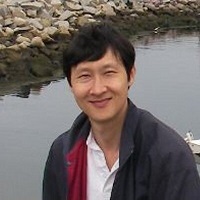 Conrade Yap is a prolific local book reviewer. 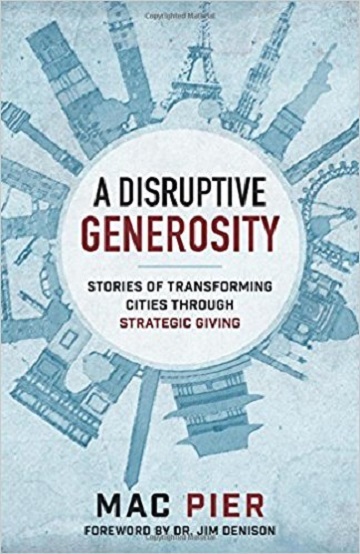 He recently read A Disruptive Generosity: Stories of Transforming Cities Through Strategic Giving by Mac Pier. Giving and mission go hand in hand. For the grace of God is about that generous gift of Jesus Christ for the world. All who have received and benefited from this gift would go on to share of the gospel message of love in Christ. Just as Christ disrupted human society, we too are called to disrupt the world of sin with the gift of grace. A Disruptive Generosity contains many testimonies about what generous giving has done; readers are empowered through these stories to see that transformation of the world is possible, one person at a time; one place at a time, one possibility at a time. Acts of ‘disruptive generosity’ do not simply appear out of nothing. They are rooted in the fundamental truths of the Bible. There are three big ideas in A Disruptive Generosity. The first is to highlight biblical truths from the Book of Isaiah. The second is to link these truths with practical movements. The third is to build relational networks, starting with believers convicted about transforming the communities they live in. All three are rooted in the gospel. The author has seen the Manhattan evangelical population grow by 500 percent during his 30 years living in New York City. From this home base, he shares his travels to other parts of the world and the stories he has encountered about the transforming power of generous giving. In Dallas, Ray and Denise Nixon started a ‘Serve West Dallas’ movement after visiting the poorest communities in Dallas instead of the conventional conference-centre outing. One amazing result was the reduction of crime rates by 49 percent and improved city infrastructure maintenance costs. In London, UK, Ram and Sunita Gidoomal was deeply impacted by the movie Slumdog Millionaire and felt a heart for the slums in India. They started social entrepreneurial projects like the ‘Christmas Cracker’ movement to assist young people to help themselves make a fair living. Ram even ran for mayor of London, relying on values consistent with biblical principles. Though he didn’t win, his party platform influenced the other candidates to incorporate part of his manifesto into their policies. In Eastern Europe, Adam Walach started a company called Walmark that provided employment opportunities in the Czech Republic and Slovakia. Knowing the rich spiritual history of Europe, he is now a part of the European Great Commission Collaboration (EGCC) to evangelize Europe. In Singapore, Keith Chua was transformed in prayer and has since put equal emphases on business and philanthropic activities. He tells the story of Garden Hotel from 1980 to 2009, which became a spiritual meeting place for many church leaders. In South Korea, pastors work with business leaders to engage in global missions. In South Africa, Graham Power stopped chasing success as his life goal and pledged to clean up corruption everywhere he goes. He started the ‘Unashamedly Ethical’ movement, which had over 5,000 companies join the pledge. In Jamaica, Robert Levy shared how his changed life in Christ helped him to lead his company from profit-accumulation to stewardship of God’s resources. Through refocus and re-strategizing based on biblical principles, he helped his company, Jamaica Boilers, recover from $20 million in debt to attain $20 million in cash without debt. In Dubai, a Swiss businessman named Chris Renfer worked and served among royalty and at the same time blessed the ‘Praise Camp’ movement back in Switzerland that now serves 7,500 students and young people. In Hong Kong, Yuk Lynn Woo and Roy Chen started the Seeds Foundation as a way to inspire people and to give back to the community. Many other stories showcase the way ordinary individuals have taken steps of faith to use whatever little they have and watch God multiply them. Offering themselves and their resources helped to create a disruptive transformation in the lives of people and the communities they serve in. In each of the 31 chapters, there is a deliberate reading of Isaiah to see how the principles of serving and giving written by the prophet still play out in the modern world. There are points to consider that could be used for group discussion. There is a closing prayer to commit the thoughts and readings to God. .
What’s so disruptive about this book? Let me offer three thoughts. First, there is a change agent in most of these stories, namely the author himself, Mac Pier. Whether it is through a seminar or a conference movement, or some chance meeting over a meal, Pier’s passion for sharing the love of Christ energizes many of them. Through the influence of the New York City Leadership Center and the Movement Day conferences, Pier has come across individuals who had been blessed by his ministries and putting the ideas and challenges into practice. People who come to the Movement Day conferences are hungry to practically apply what they learn. Pier simply helps them clarify their paths forward and in the process they are able to share the positive results. I am sure there are many other stories that don’t appear in this book. Second, generosity stems from being blessed first. This is a common principle of what grace actually means in Christianity. We love because God first loved us. We serve because God first served us. We give because God first gave us His Son. One good deed leads to another, so goes the popular belief. For Christians, God’s greatest act of love and sacrifice at the cross is the spark that got the fire of love going. The stories are interconnected, either through a movement or through the personal influence of the author. As people were blessed by the ministry of Pier, they then went ahead to bless others. It reminds me that things often do not begin in a vacuum. For all the altruism and the good intentions of making an initiative to do good, we all need some spark of love to get our creative juices of generosity going. It is good to take a step of faith to start a positive movement of blessing. It is even better to let our blessedness spur us on to love and good works as mentioned in Hebrews 10:24-25. Third, spiritual vitality comes out of giving rather than receiving. We have already been given a great talent, some spiritual gifts or a special opportunity to use what we have so that God could bring about what we do not yet have, to bless others. The fallacy is to think that we can only work with what we have, forgetting that God can do anything. We never know what our limited resources could do, but the flip-side is also true – we never know what God could do. He could choose to multiply the little we have to bless many. Much is given, much is expected. It is more blessed to give than to receive. A Disruptive Generosity is a testimony of this. One of the biggest concerns is the lack of spiritual vitality in the West. Worse, people are getting used to the negative climate of an anti-Christian establishment. Believers have also gotten used to being bullied into silence or submission. What we need is to restore the faith and hope among believers near and far, so that they could start a movement of change and be trumpets of hope for the world. Start with faith. Continue with perseverance and hope that it is God who would provide the increase. If you ever want to get a spiritual boost, try exercising some generosity. If you are looking for evidence about why it works, try reading this book. For within the pages, there are powerful stories of people around the globe who have not only gave sacrificially of their time, resources and efforts, their actions have changed lives, both others and theirs. Mac Pier is the founder and CEO of the New York City Leadership Center and was key in founding the Movement Day conference. He is a popular speaker, motivator and author. He has lived in New York City since 1984. Conrade Yap was born in Malaysia, but lived for much of his life in Singapore. He has an MBA from Warwick University and studied at Regent College before completing his doctoral studies at Gordon-Conwell Theological Seminary. Apart from blogging, he is pastor of the English congregation at Tri-City Canaan Church in Coquitlam. This review was first published on Conrade Yap’s Panorama of a Book Saint blog March 12 and is re-posted by permission.